A district court judge issued the ruling, marking the latest legal hurdle. A controversial law in Iowa that sought to ban women from getting abortions after a fetal heartbeat was detected has been ruled unconstitutional by a state judge. The so-called "heartbeat bill" never went into effect in Iowa because it faced legal challenges ever since Gov. Kim Reynolds signed it into law in May 2018. Opponents noted that a fetal heartbeat can sometimes be detected as early as six weeks into a pregnancy, at which point some women may not know that they are pregnant, and it shortens the window by which a woman could have a legal abortion in the state. The latest decision, issued on Jan. 22 in the Polk County District Court, deemed it unconstitutional in the face of the state's laws. The decision concluded that the parameters set in the law are "violative of both the due process and equal protection provisions of the Iowa Constitution as not being narrowly tailored to serve the compelling state interest of promoting potential life." (Charlie Neibergall/AP) Iowa Gov. Kim Reynolds delivers her inaugural address, Jan. 18, 2019 in Des Moines, Iowa. Reynolds spoke to reporters after the ruling, expressing her disappointment and leaving open the possibility of an appeal to the state's Supreme Court. "As I've said and said over and over, if death is determined when a heart stops beating, then I believe a beating heart indicates life. And so right now ... we're evaluating the ruling, and we'll make a decision going forward and what that looks like, so we're still re-evaluating," Reynolds told a group of reporters, according to local station WHO-TV. ABC News' request for comment from her office about any updates to their possible appeal plans were not immediately returned. The decision was seen as a victory by advocates involved in the case, including Planned Parenthood of the Heartland and a local group called the Emma Goldman Clinic. (Barbara Rodriguez/AP) Planned Parenthood supporters rally outside the Iowa Capitol Building, May 4, 2018, in Des Moines, Iowa. The rally called for Iowa Gov. 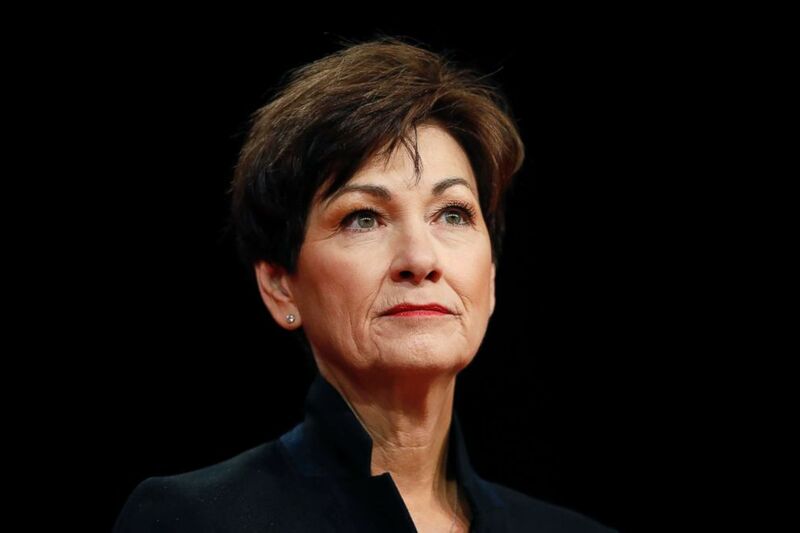 Kim Reynolds to veto a six-week abortion ban bill that would give the state the strictest abortion restrictions in the nation. The ACLU partnered with these groups, and Rita Bettis Austen, the legal director of the ACLU of Iowa, called the victory "essential to the rights and safety of women in Iowa" in a press release. "It follows in the footsteps of the Iowa Supreme Court decision on abortion in 2018 that recognized the fundamental right to a safe and legal abortion for Iowa women, which cannot be legislated away," Austen said. 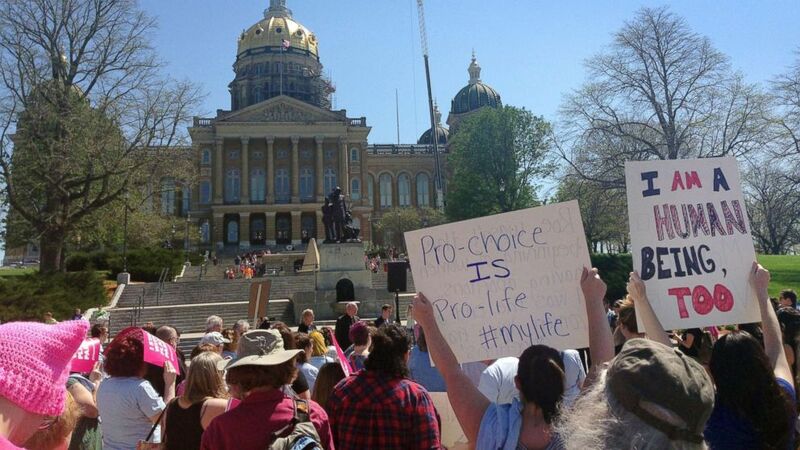 "Today’s decision upholds women’s freedom and equality in Iowa." Dr. Leana Wen, the president of Planned Parenthood Federation of America, released a statement Wednesday after the court's decision "resoundingly affirmed that six-week abortion bans are unconstitutional." "This underscores that abortion is reproductive health care, reproductive health care is health care, and health care is a fundamental human right. We will not stop until every person in every state has the access to the health care they need. No matter what," she said in the statement.